What's Poppin' Tonight! 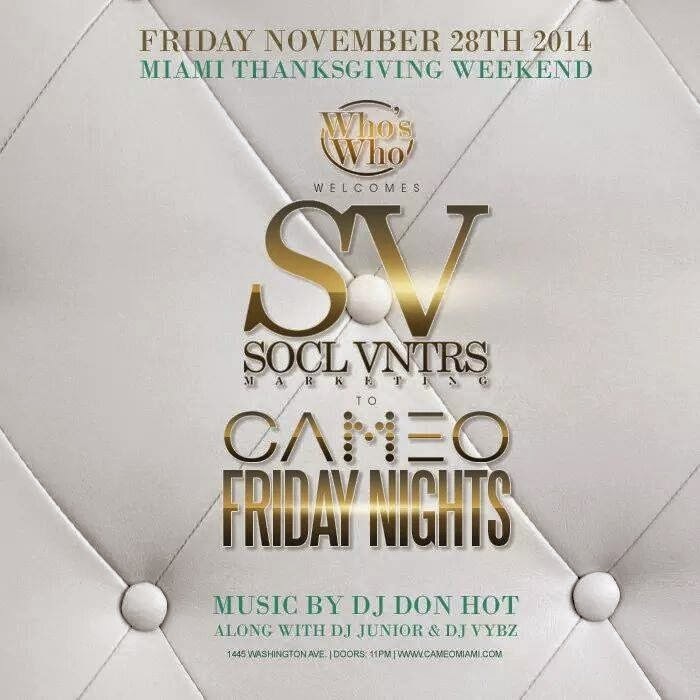 Who's Who Fridays presents #WelcomeParty for SOCL VNTRS Marketing at Cameo Nightclub #CameoFridays ~ Phresh Hott New! Tonight! Who's Who Fridays presents the Welcoming Party for SOCL VNTRS Marketing at Cameo Nightclub with sounds by DJ DON HOT + DJ JUNIOR + DJ VYBZ. Text the word "HIPHOP" to the number 38714 for Complimentary Entry & Champagne till 12:30am.